The following came about largely as a result of me trying to organize my ideas for an application to attend a marine policy course offered through Stanford. As per the typical scholarship/ conference/ grant application format, they wanted a lot of detail about my thesis and how participating in this program will be beneficial to my research. But they’re not the only ones who are curious about my work. My friends and family also often ask me what I study. And even though I think in many cases they’re just being nice/ trying to make conversation/ genetically obligated to care/ &c., sometimes I feel like there’s a genuine level of interest. Or, at the very least, mild curiosity. And, while I approach the marine realm largely from a physiological perspective and background, unfortunately my current research doesn’t involve any live specimens or experiments. So naturally I feel like a huge disappointment when people quickly realize that I don’t swim with dolphins or dive with sharks on a regular basis. Nonetheless, I still try to explain the type of work I do, and why I feel like my current branch of marine biology is equally (if not more) important. As mentioned before, I’m doing my MSc. at the Fisheries Centre at UBC. This is one of the leading fisheries research centres in the world, so I feel like a pretty lucky girl to have such amazing people and resources at my fingertips. That said, acceptance into this institution was no doubt only mildly based on my undergraduate academic record and, in reality, probably mostly based on the first conversation I ever had with my (now) supervisor, Daniel— a man whose research I came to idolize during my time at Guelph. (If it helps, try picturing a young and naïve Anakin Skywalker talking to Yoda). Anyway, I was home for Christmas and had set up an appointment to meet with him at UBC to discuss a potential grad school opportunity. We had been chatting for a little while but I could tell that his interest in me was rapidly declining. He didn’t seem remotely impressed by anything I’d done, and he explained that he was hesitant to take on new students because he was getting old and didn’t want to die on me. At this point in our chat he got up to show me out. So, out of pure desperation and panic, and with tenacity I never knew I had, I stood up and simply blurted out that I had first aid training and promised to perform CPR and mouth to mouth if he had a medical emergency at some point over the next two years. I think for the first time in our entire chat he actually looked at me. Easiest interview I’ve ever had, and clearly the rest is history. Anyway, back to the science. Since 1950, every country in the world has been required to submit their annual fisheries landings (i.e., the total tonnage of all the different species they’ve caught in a year) to the United Nations Food and Agricultural Organizations (FAO). The FAO then keeps all this information together in a database called FishStat and everything is nice and pretty. Well, in theory it is. But, because sometimes things get accidentally (or intentionally) missed or overlooked, many catches don’t get properly reported. Or reported at all. 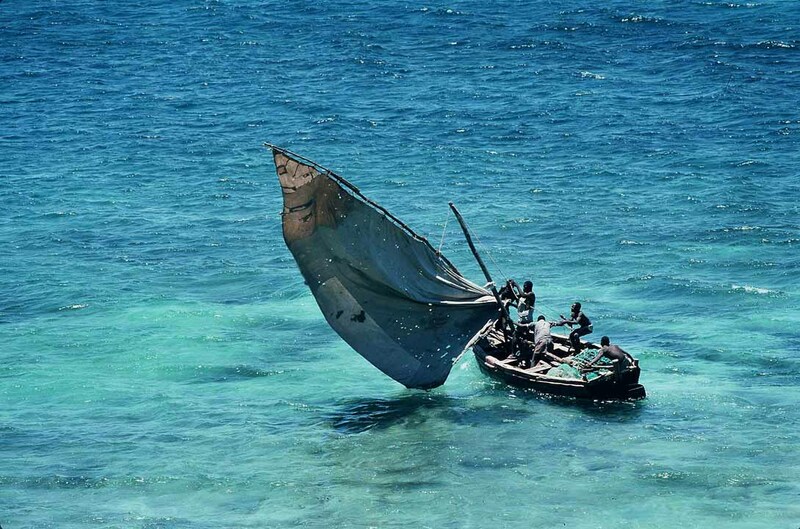 In many cases, these unreported catches are from the subsistence or small-scale (e.g., artisanal) sectors in developing countries where they may lack the infrastructure and resources for compiling accurate catch statistics data. In addition however, missing information can also include illegal catches, discards, and bycatch* from industrial fishing operations in more developed countries too. So, the Sea Around Us is attempting to reconstruct the fisheries catches for every country in the world by amalgamating everything that has been missed and adding it to the FAO data. This is done by scouring the literature, enlisting the help of local scientists, institutions, and NGOs, and sending copious emails to government officials politely (and often repeatedly) asking for data. Well, obviously there’s a bit more to it than that, but in a nutshell, that’s how it’s done. And once we obtain some concrete catch data, or export data, or consumption data, we can begin to piece together a sixty-year fisheries puzzle. As anyone would guess, there can be some hefty assumptions and interpolations attached to this methodology, so we err on the conservative side of our estimates when things are hard to decipher or we find conflicting sources. Although it has come up against some criticism, the principle mentality behind this approach is that we know we won’t get things perfect, but no catch data doesn’t mean no catch. So what we’re doing is better than what currently exists. And, with any luck, it can only be improved upon. Of course, like any job, there is always a lot on the go, and weeks have their ups and downs. And, while there are a few notable differences between the original Mr Holmes and myself (i.e., I can’t do cocaine at work, I play a ukulele instead of a violin), I hope I have at least conveyed some the reasoning behind my initial analogy. I may not make any money, and (worse!) not get to play with live tuna, but I absolutely love what I do. And, luckily, instead of having only one Watson to help, I have many. Most importantly though, while I know that my thesis doesn’t contain any real groundbreaking research, I like to think of it as a stepping stone to something bigger; I hope to keep working on all sorts of fisheries problems long into the future in an effort to improve the state of our oceans. So, in this context, I guess it’s actually my biggest hope that, someday, I’ll have to find a new line of work. illegal catches – where vessels operate in violation of the laws of a fishery (i.e., they take more fish than their quota allows, they catch fish that are not allowed to be caught, they fish in a place they are not allowed to fish, &c.
discards – the portion of a catch of fish which is not retained on board during commercial fishing operations and is returned, often dead or dying, to the sea. Often discarded fish are unmarketable species, individuals that are below minimum landing size, and catches of species which fishermen are not allowed to land, for instance due to quota restrictions. bycatch – fish or other sea life caught unintentionally by a fishing vessel. This may include undersized or juveniles of the targeted species, or individuals from a different species altogether (e.g., turtles, sea birds, marine mammals). This entry was tagged catch reconstruction, FAO, fisheries, graduate research, pelagic fish, Sea Around Us, Sherlock Holmes, UBC. Bookmark the permalink.